Earlier this week the United States Mint unveiled the designs for the 2013 First Spouse Gold Coins. 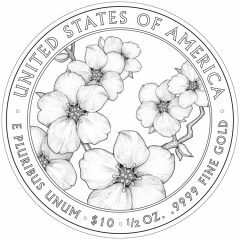 Unfortunately, the news announcement about the designs did not include any specific release dates for the 1/2 ounce, .9999 fine gold strikes. The only information on that front was an indication that the first coin of the year would appear in early fall. As listed, the program includes five coins for the year. Typically, most annual periods include just four first spouse releases as they are scheduled to be issued the same year as associated Presidential $1 Coins. That Presidential series in 2013 features strikes honoring Presidents William McKinley, Theodore Roosevelt, William Howard Taft and Woodrow Wilson. President Wilson’s first wife, Ellen, died while he was in office. He later married Edith while still serving. Thus, both spouses are honored on separate coins in the series. 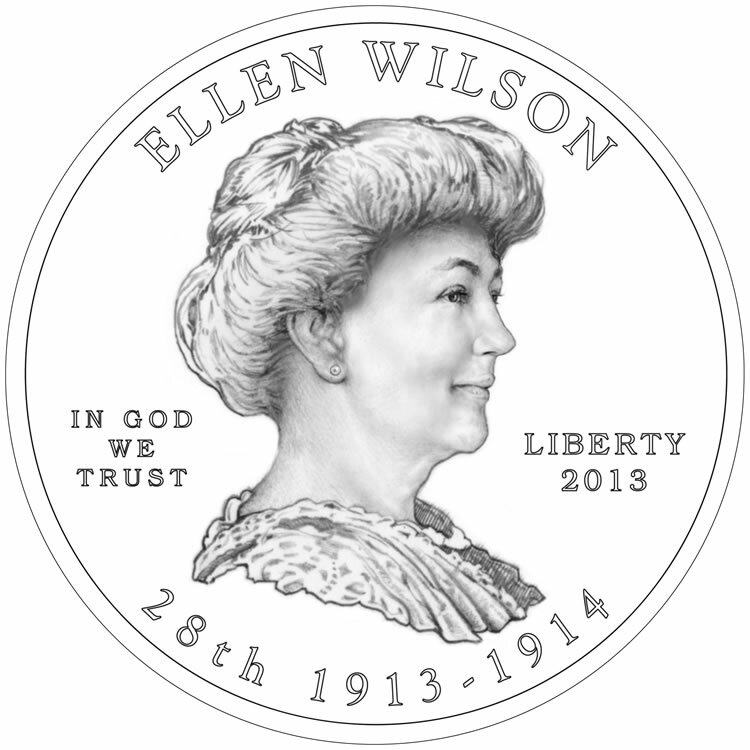 The late unveiling of the 2013 first spouse coin designs comes after design candidates for the Edith Wilson coin were rejected in March by the two bodies charged with reviewing and commenting on possible US Mint coin images — the Citizens Coinage Advisory Committee and the Commission of Fine Arts. Additional design candidates were offered the following month. 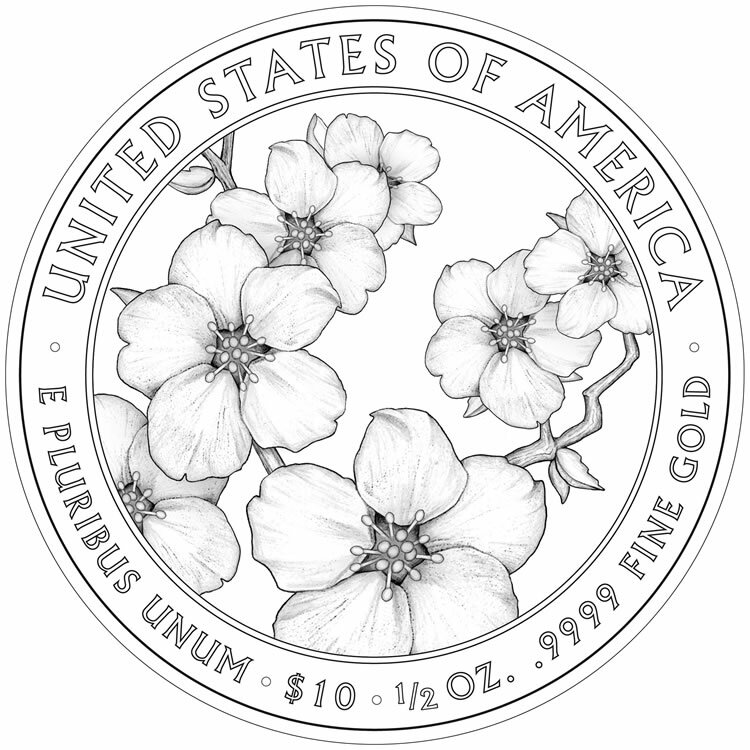 These final design images represent those chosen by the Secretary of the Treasury. It should be noted that last year’s 2012 First Spouse Gold Coins also appeared late in the year. Their images were unveiled in April, but owing to production issues, the four coins were delayed and eventually released from October 11, 2012 through December 20, 2012. 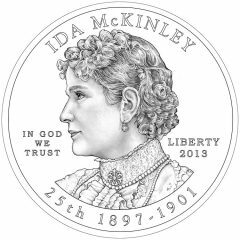 Offered on the obverse of the Ida McKinley First Spouse Gold Coin is a portrait of the former First Lady. 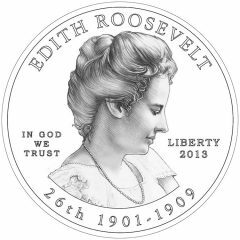 The portrait was designed by United States Mint Artistic Infusion Program (AIP) Master Designer Susan Gamble and sculpted by United States Mint Sculptor-Engraver Phebe Hemphill. The reverse shows an image of two hands crocheting, which is emblematic of Ida crocheting thousands of slippers for charity. 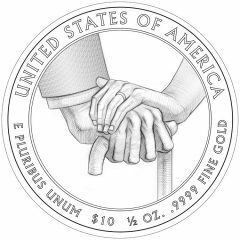 This design was created by AIP Master Designer Donna Weaver with United States Mint Sculptor-Engraver Renata Gordon in charge of execution. 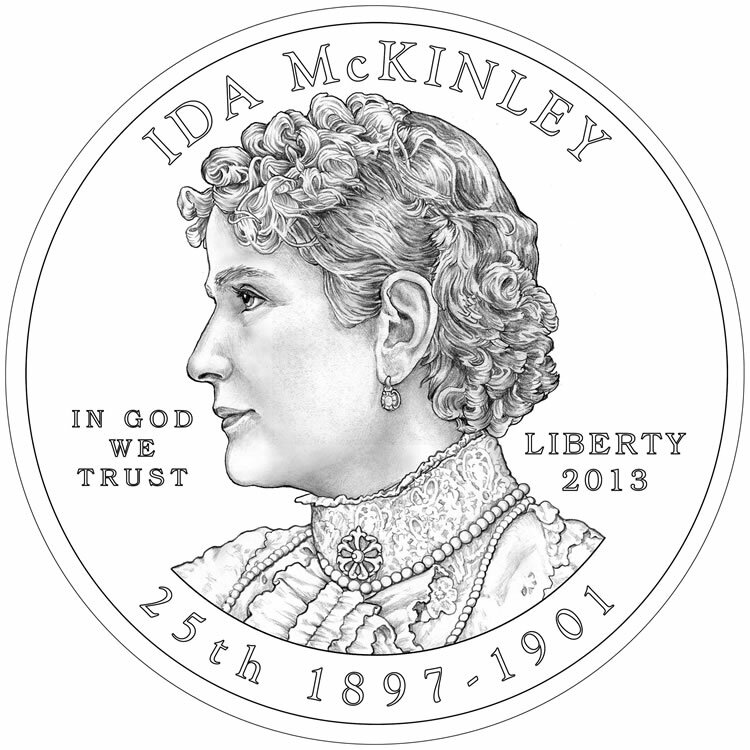 Obverse inscriptions include IDA MCKINLEY, 25TH, 1897-1901, IN GOD WE TRUST, LIBERTY and 2013. Reverse inscriptions shown are UNITED STATES OF AMERICA, E PLURIBUS UNUM, $10 and 1/2 OZ .9999 FINE GOLD. 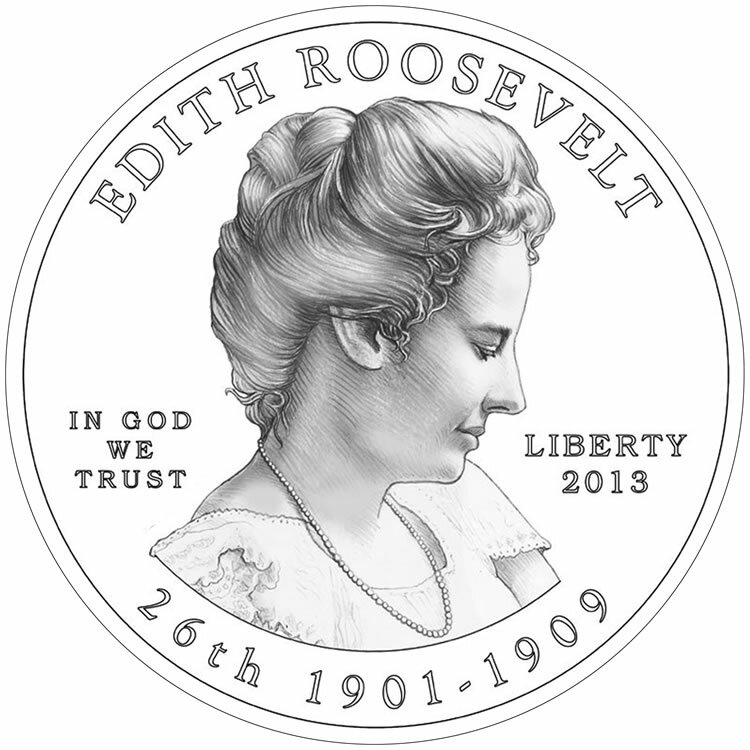 The portrait of Edith Roosevelt was completed by AIP Master Designer Joel Iskowitz. 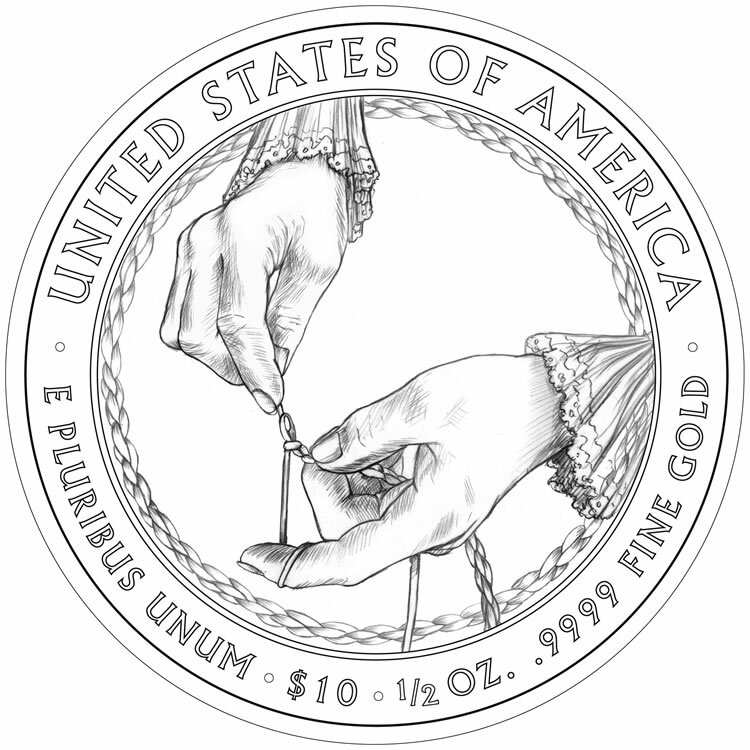 Sculpting was done by United States Mint Sculptor-Engraver Joseph Menna. 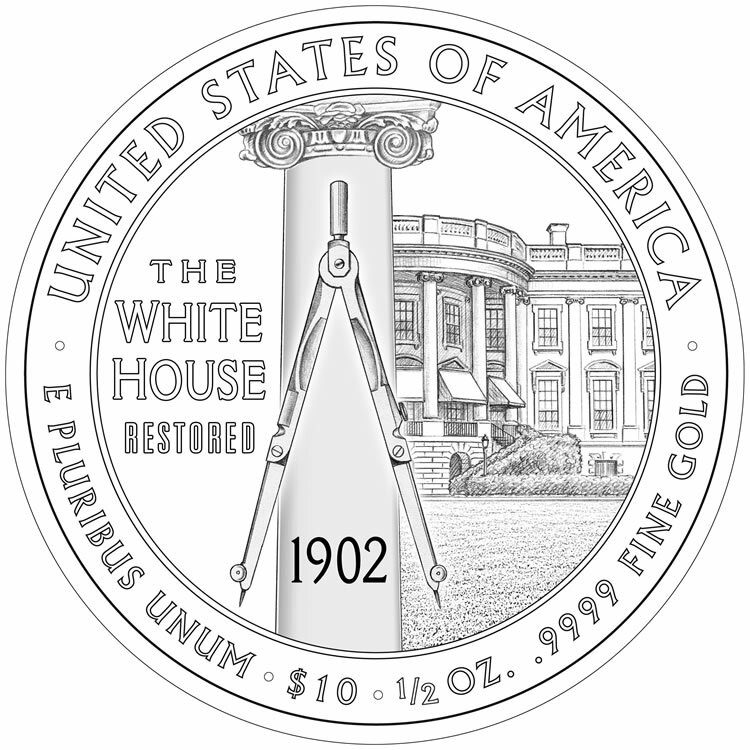 The reverse depicts the White House with a slightly off-center column and compass. 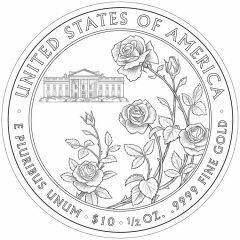 This design is meant to represent Edith’s participation in the White House restoration of 1902. 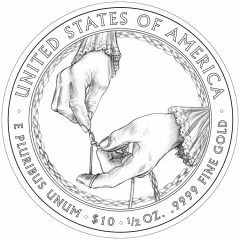 Artist of record is AIP Associate Designer Chris Costello with United States Mint Sculptor-Engraver Don Everhart sculpting. 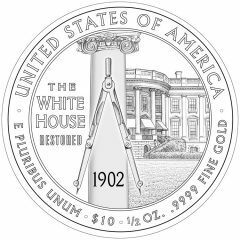 In addition to the standard inscriptions for a coin of the series, the reverse design also includes THE WHITE HOUSE RESTORED and 1902. 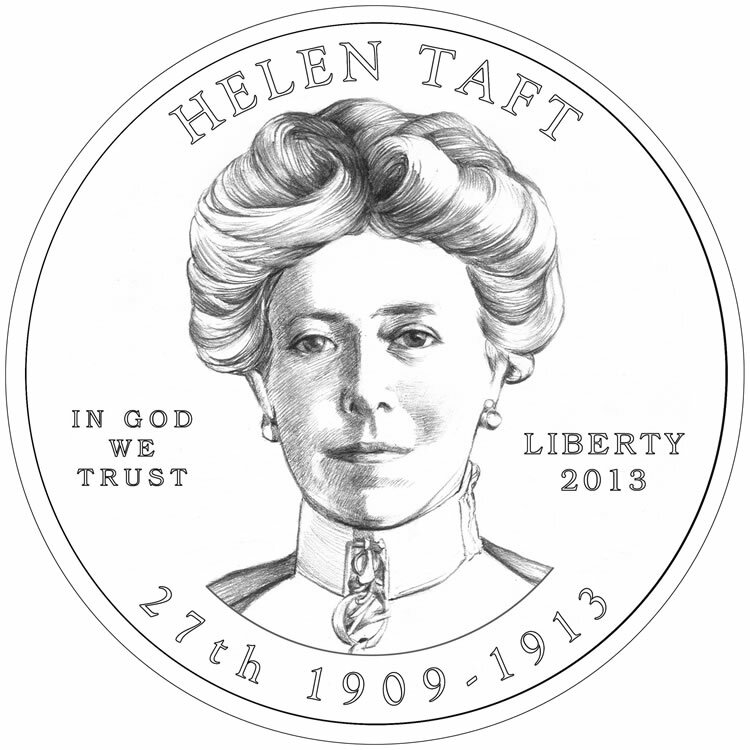 AIP Associate Designer William C. Burgard designed the obverse portrait of Helen Taft. Sculpting was completed by Phebe Hemphill. On the reverse, is a design emblematic of Helen’s involvement with bringing cherry trees to Washington. Shown is a branch of Japanese cherry blossoms. 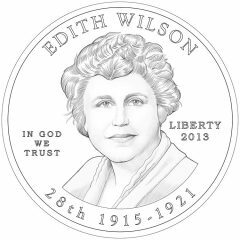 AIP Master Designer Richard Masters created the design with United States Mint Sculptor-Engraver Charles Vickers sculpting. 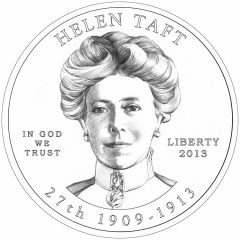 Obverse inscriptions include HELEN TAFT and 27TH along with the standard inscriptions. Shown on the obverse of the Ellen Wilson Gold Coin is a portrait of the First Lady by AIP Associate Designer Frank Morris. Charles Vickers was in charge of sculpting. 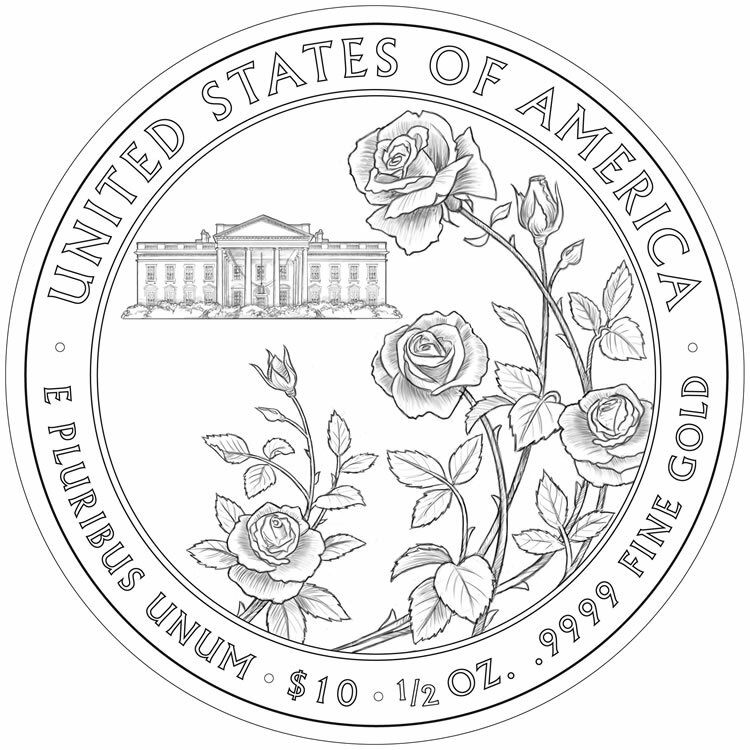 Ellen’s creation of the White House Rose Garden is portrayed on the reverse with an emblematic design of roses with the White House in the background. Don Everhart is the artist of record for both design and sculpting. 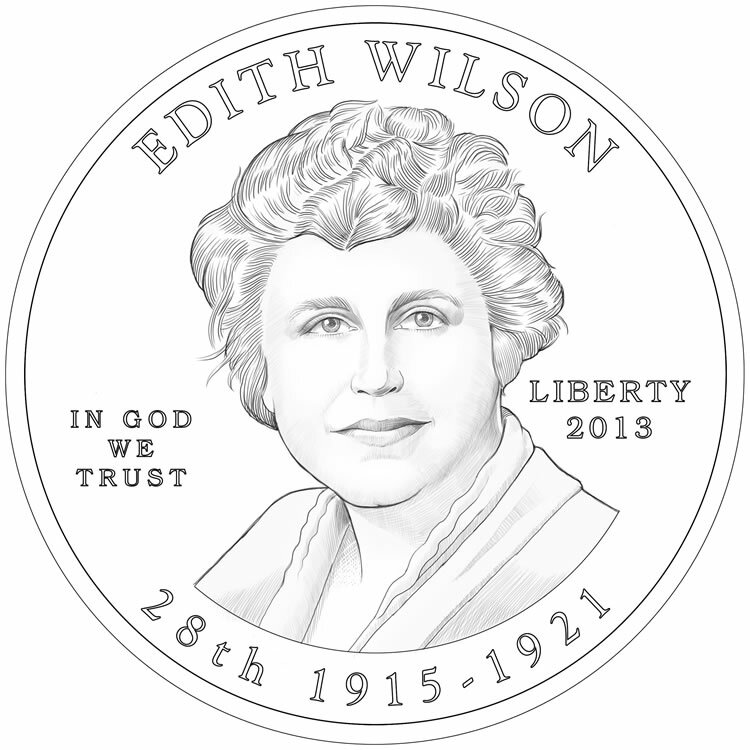 The final 2013 First Spouse Gold Coin honors Edith Wilson with an obverse portrait of the former First Lady. The portrait is the work of AIP Associate Designer David Westwood with sculpting by United States Mint Sculptor-Engraver Michael Gaudioso. 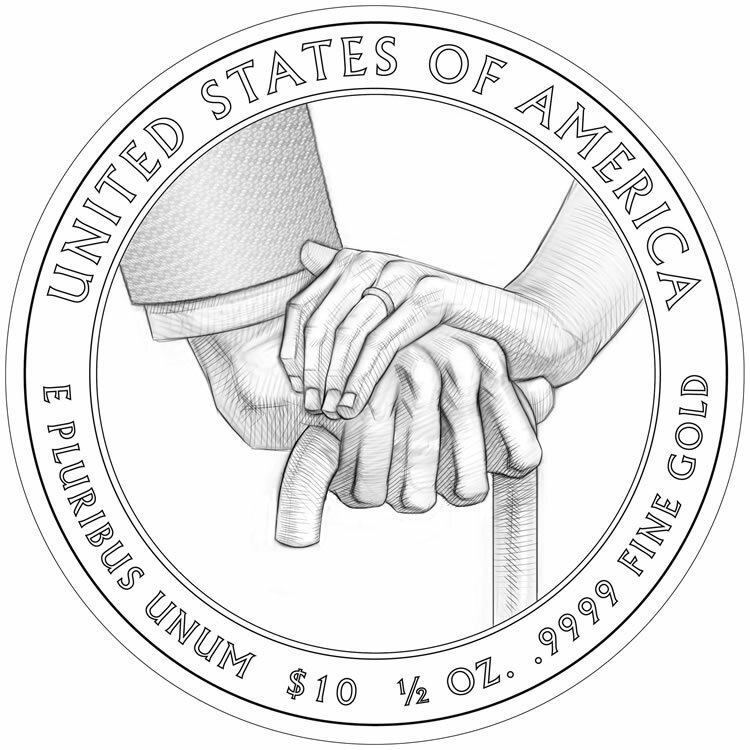 Edith’s support for her husband Woodrow, after his massive stroke, is depicted on the reverse. It shows the right hand of the President holding onto a cane with Edith’s left hand resting warmly on top. The design was completed and sculpted by Joseph Menna.